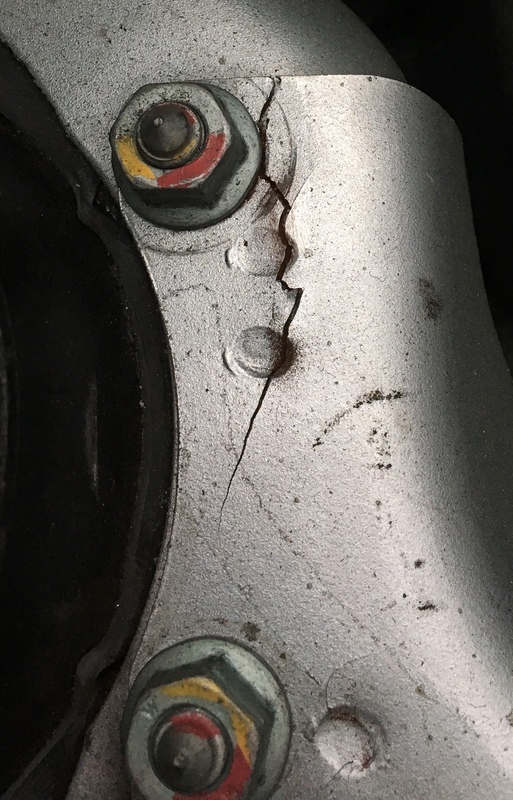 911uk.com - Porsche Forum : View topic - Small chassis crack? 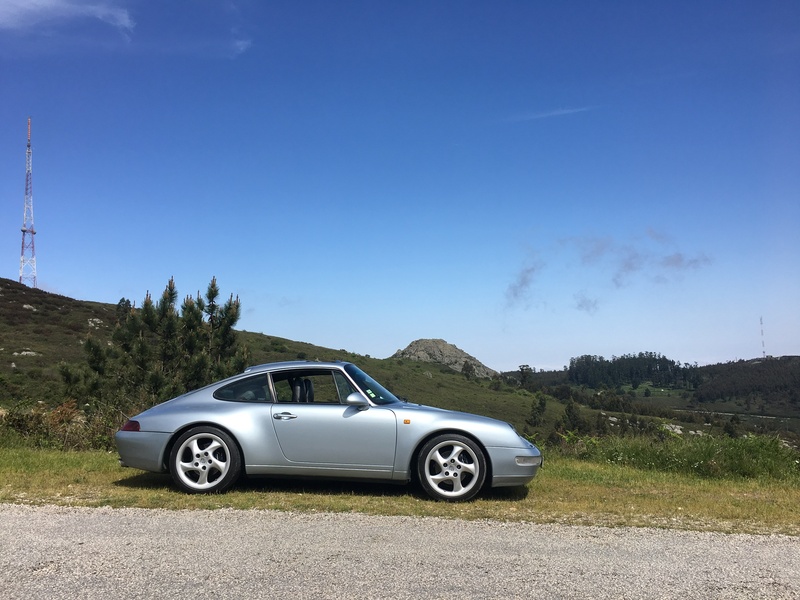 911uk.com Forum Index > 993 (1993 - 1998) > Small chassis crack? Posted: Wed Jan 16, 2019 3:55 am Post subject: Small chassis crack? I am fairly new to Porsche. Less than a year ago I got this nice 993 97’ C2 coupe. Looked good. Took it to an OPC where they did the 111 point check which it passed with no problems signaled. Just recently I was looking around in the frunk and found this crack on the chassis (photos). Is it serious? Can it be easily repaired? hmmmm I'll have to agree that doesn't look good, not that the damage itself is that bad but I'd have to question why that would occur, and it's certainly not through normal driving. What would make that overlapping steel crack along those spot welds like that?, potentially enough sideways force would, but that would mean a larger force from the structure of the car, i.e an impact. I guess it could be down to a flaw in the steel itself, but the way the crack has appeared an come apart would suggest otherwise. Someone has tried to obscure that crack with a large washer in the past if you look closely at the marks on the paint. I'd want to get this fixed pretty quickly and also understand the reasons for it. Good spot on the indentation from the large washer. The nut must have been tightened up pretty hard to create that indentation. I hope this works out OK as it is a great looking car. Echoing Trev's comments - there has been some significant stress to cause the that crack. Looks as though the crack is spreading towards the second bolt - so would definitely want this fixed before it spreads all the way. Or perhaps its been on a celette jig to straighten out some damage - washer marks around all the nuts. I'd be having a good look through all the history and a good look at all the chassis parts to look for any other signs of previous damage (creases, cracks, fresh seam sealer etc). Did you HPI it? 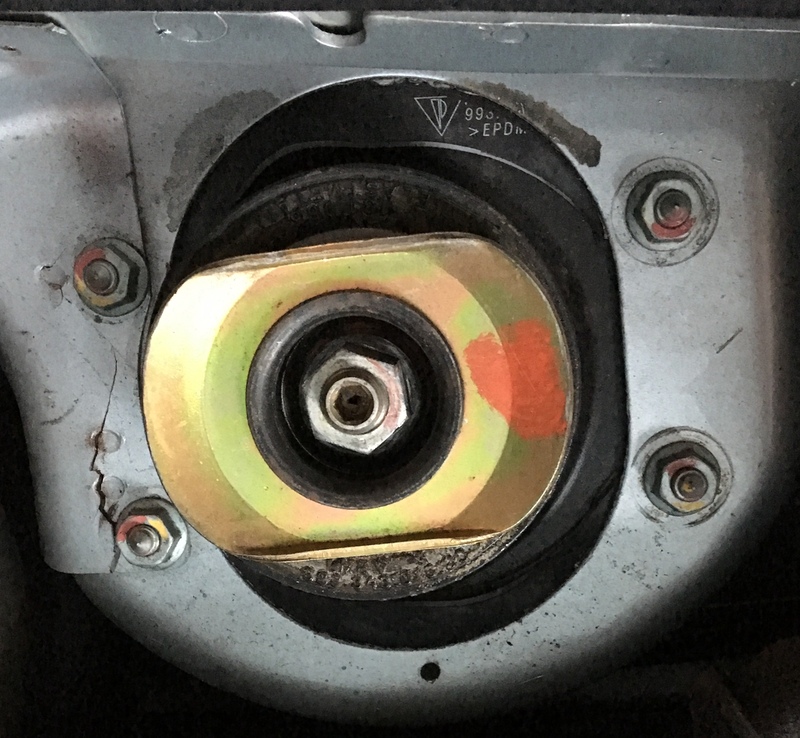 Looks like there are obvious signs that something has gone on in that area using processes somewhat below the expectations of a Porsche trained professional repair process, but then that is to be expected as a possibility in any vehicle of that age. I would think it wise to have it inspected by someone WELL AWARE of bodywork repair processes of ALL SORTS as opposed to a "mechanic." These days I suspect even Porsche main dealers may farm out bodywork and some indy`s may do the same, so perhaps no guarantee of finding that sort of specialist knowledge in a shiny Porsche dealership. No accident history (that I know of). And from an untrained eye I wouldn’t say it ever suffered severe damage. I’ve taken it to two different OPC. First they did replace some suspension parts on the back of the car - just wear issues I was told. Second time just a regular service. I got in touch with the dealer that sold me the car and he told me he would have it welded but I’ll have it checked at my local OPC before going that route. Just a thought. It may have been caused by severe overtightening of the top mount at some time. There appears to be no damage to the turret itself so a grind out and fillet weld should sort it. If the turret reinforcement was not completely flush with the turret and there was a small gap, enough to cause a fracture through the spot weld. HPI is a registry of insurance claims, and will show if the car has been subject to a claim, eg write off, stolen recovered etc. What it won't show are events where an insurance company has not been involved, for example the owner paying for damage themselves. Is this correct? My understanding is that if a car has been repaired as part of a insurance claim it wouldn’t show on hpi unless it had been a total loss? It'll only show if it is a write-off or details of damage by Category (A, B, C or D) according to the website. From looking at the shapes of where the washers were located, I don't believe washers were used to try to cover it up. It looks like the washers had been removed before the crack occurred. Posted: Wed Jan 16, 2019 5:56 pm Post subject: Re: Small chassis crack? Also this. And get a strut brace on there. If it drives in a straight line and the geo figures are all good, tyres not wearing unevenly etc I can't see there is any need to do any shltting in pants.